Currently under construction, the “CajaSol Tower Complex” within Puerto Triana in Seville. 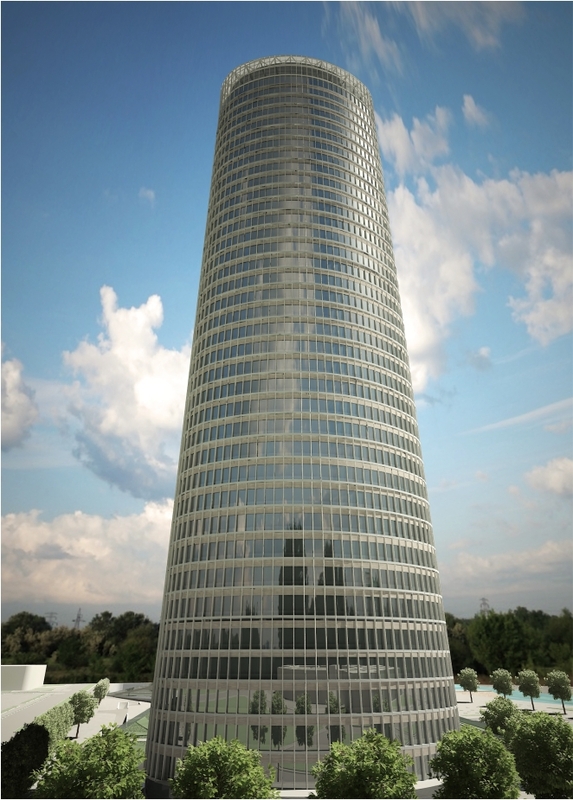 At the time of its conclusion it will be the first skyscraper in the city and in the highest of Andalusia. The tower will have a total height of 180.5 meters. The proposed building has an elliptical floor plan and 40 reinforced concrete floors above ground, with 3 floor underground. The facade is made of glass and steel and it will be protected from the harsh summer’s sun with ceramic vanes.